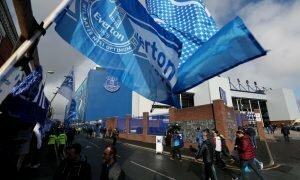 Everton reportedly eyeing £35m striker as club look to introduce more firepower to squad | The Transfer Tavern | News, breakdown and analysis on all things football! Everton fans in the Transfer Tavern will be looking ahead to the start of the next season having already secured their place in the Premier League after a disastrous start to a campaign which promised plenty. The Toffees have struggled to get goals on a consistent basis in the league, having netted just 38 in their 32 games so far and it will be a concern Sam Allardyce will look to rectify in the summer. The club signed Cenk Tosun during the winter transfer window and he has started to come to life at the right time, however, summer signing Sandro Ramirez flopped and left the club to join Sevilla on loan. The Mirror is claiming that Porto could be ready to sell Moussa Marega and Everton could be prepared to make an offer in the summer, having already been in contact with the player’s agent in the past. The 26-year-old, who represents Mali at international level, has a £35million release clause, however, the Toffees will look to bring that figure down, knowing the striker wants to move to the Premier League. 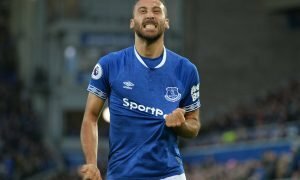 Everton fans in the Tavern will be weary with the club signing another striker, especially since the arrival of Tosun. However, the locals realise the goal return from their team is nowhere near good enough and the French-born African could go some way to help them achieve their European aims. Everton fans, what are your thoughts on Marega possibly signing in the summer? Let us know below!